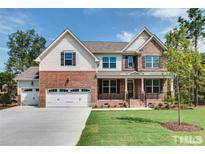 Find Rolesville, NC New Homes for sale. View Photos, Maps and MLS Data Now! Averette Ridge - bedrooms with walk in storage on second floor ! MLS#2250006. 3770. Averette Ridge - Walk up attic w/ plumb for bath. Make this yours today ! MLS#2249579. 3770. Comp purposes only. Branford B. MLS#2243339. 810. Showcase home on a culdesac homesite Unbelievable master bedroom, gourmet kitchen 4 full baths 5-6 bedrooms depending on how you decorate...must see come to 1116 Virginia Water to see a decorated model MLS#2241381. 3789. HOA dues includes Granite Falls Swim and Athletic Club. MLS#2240250. 3251. Cedar Lakes - All you could want or need in a big family home MLS#2239867. 3789. Cedar Lakes - Backs up to permanent open space with a lovely view of trees and wild life Gourmet kitchen with a huge island and lots more counter space for the chef of the family MLS#2239836. 3789. Cedar Lakes - Fabulous master bedroom with fireplace and sitting area plus a master screened porch that looks over permanent open space, definitely an owner's retreat first floor office with french doors, beautiful screened porch right off the family room, wonderful island kitchen with walk-in pantry and tons of cabinet space homesite 100 ft across the front and no neighbors on the right side ...great privacy 1400 sqft unfinished daylight basement MLS#2239855. 3789. Carlton Pointe - FamRoom: Mosaic Tile Srrnd GasLog Fireplace w/Stnd Mantle & 12' Slider to Rear Srnd Porch! MLS#2236654. 1128. Bonus Room w/ Full Bath! Screened Porch! MLS#2235773. 1128. Master Bath: 12x24 Herringbone Laid Tile Floor, Separate Vanities, Walk-In Tile Srrnd Shower, Private Water Closet, Walk in Closet w/Custom Shelving! Screened Porch & Patio! MLS#2235591. 1128. Large Bonus Room W/ Room For Future Expansion. Unfinished Walk Up Attic! MLS#2231713. 5194. 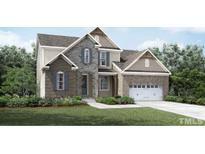 Granite Falls - Grayson Heritage, 3rd floor, 3rd car garage FOR COMP PURPOSES ONLY MLS#2231260. 1103. Granite Falls - Chatham Bungalow-COMP PURPOSES ONLY MLS#2231328. 1103. Pre-sale Opportunity Wellington Bungalow for COMP Purposes MLS#2230710. 1103. Granite Falls - HOA includes Pool at G. Falls Athletic Club MLS#2229233. 3251. Carlton Pointe - FamRoom: w/Hwd Flooring, Cstm Srrnd GasLog Fireplace w/Mantle & Shiplap Accent Wall, & Slider to Rear Covrd Porch! MLS#2228643. 1128. 3 beds w/ WICs, 2 full baths, & large bonus on 2nd floor. Screened porch & patio in back. MLS#2228595. 297. 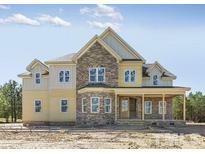 Carlton Pointe - FamRoom: w/Cstm Srrnd GasLog Fireplace, Double Wndws, & CeilingFan w/Light! MLS#2226998. 1128. Carlton Pointe - Upstairs Bonus! Future MediaRoom & Unfin Storage! MLS#2226235. 1128.